Doing any one thing for 30 years is really quite impressive, considering that I haven’t even been breathing that long. And to not only do something, but to continue to execute it with the same fervor and reliability since the beginning is an entirely different thing. 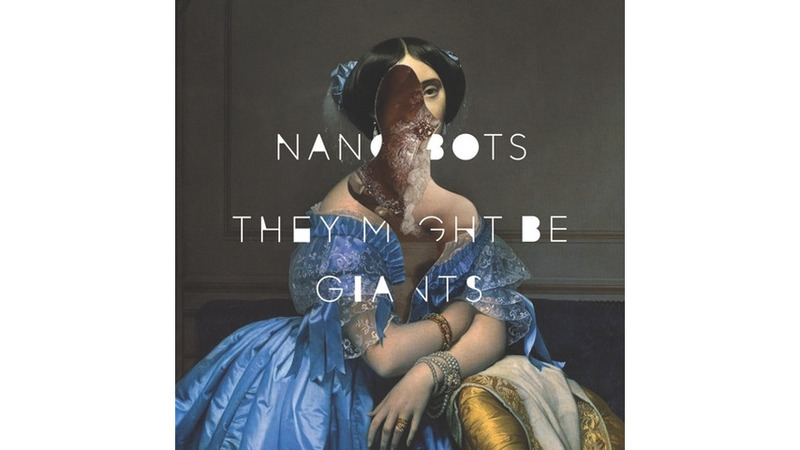 They Might Be Giants’ 16th studio album, Nanobots, is a shining example of how it’s done. Since 1982, John Linnell and John Flansburgh have created music under the moniker They Might Be Giants, and while it started and stayed as a duo for their first four albums, they have since taken on a backing band of rotating members—until the early 2000s, when Dan Miller (guitar), Danny Weinkauf (bass) and Marty Beller (drums) became staples almost as synonymous as the Johns to the current incarnation of They Might Be Giants. Patrick Dillett, who has worked on and/or produced their albums going back to 1990’s Flood has returned to produce Nanobots with TMBG, ensuring that the production here is only moving forward, venturing into new territory while maintaining a sound that is They Might Be Giants. So Nanobots brings musical stylings and a recording quality that we’ve heard from The Giants on past albums, but it doesn’t get bogged down there. Their earlier albums were far more distinguishable from one another, and Nanobots stays close to the feel that their albums have shared since 2004’s The Spine. Even so, it’s a collection of songs that stand just as tall as the rest. On Nanobots we have a whopping 25 songs, but as any TMBG listener knows, the band has always been able to craft quality songs in three minutes or less. Nanobots sees them doing it in as little as six seconds—something we haven’t seen (or heard) since their fourth album, Apollo 18’s “Fingertips” suite. Since a nanobot is defined as “a hypothetical, very small, self-propelled machine, especially one that has some degree of autonomy and can reproduce,” the mostly fast, upbeat pace of this album makes a bit more sense. These short songs maintain momentum with little time between each song, forming a cohesion. The genius of They Might Be Giants lies within their ability to place brilliant metaphors and colorful lyrics into songs that at times may appear nonsensical, and many times, just as well may be. Linnell’s “You’re On Fire” starts the album and instantly grabs the listener with “Hi, I forgot your name, whatever / My point is, hi, you’re head’s on fire.” One of Flansburgh’s standout offerings is the somber tune “Tesla” about the inventor’s contributions to the world and how his genius drove him mad. They Might Be Giants have consistently released material that is both new and original without turning into a machine churning out small caricatures of their songs, and on Nanobots they prove that 30 years later, they can still write infectiously catchy, quirky songs about combustible heads, nanobots and black ops that don’t feel contrived in the least. Whether you’re a longtime fan or you’ve never heard They Might Be Giants, Nanobots has something for everyone.